What you should know about Endocrinology superspeciality. Thousands of students compete for DM in general. NEETDM Endocrinology has a good number of seats. Most doctors would love to have super specialization rather than only an MD Degree. It provides doctors more and better chances to get a faculty post. DM from leading institutes like AIIMS, PGI, CMC VELLORE, CMC LUDHIANA is more reassuring and satisfying. NEET DM Endocrinology is a specialty loved by some MD Students. In 2019 Competition for this branch is going to be tougher as compared to 2019 exams. Many more students prefer Dm now. They are not satisfied with an MD degree. Though all Superspeciality exams are moderately tough they are not impossible to prepare for. Endocrinology is a branch which is moderately tough. Endocrinology comprises of study about endocrine glands. Questions asked are on the basic concepts, advanced conditions, management, drugs used in Endocrinology, Genetics concerning Endocrinology. Basic knowledge is very essential. It is important to have consideration about concepts of general medicine also. Emphasis on disorders like Hypothyroidism, Hyperthyroidism, Adrenal gland disorders, Gonadal disorders, pancreatic endocrine disorders is always high on agenda. Examiners favorites are from such topics. These are frequently repeated as well. A student needs good preparation always. One should not rely merely and solely on luck. Our experts, doctors, the medical team at medexamsprep have developed a standard content-based exam series. The exams are concerning questions on analogy similar to the question types asked in NEET DM exams. This provides students a chance to prepare ell for their NEET DM Endocrinology as well as other DM superspecialities. Due care is taken of the fact that we have the most updated and latest content. Students always aspire for top ranks and our strategy is in line with the providence of Quality study matter. NEET SS exams are not as tough as imagined by aspirants. Good preparation and planned strategy always help. 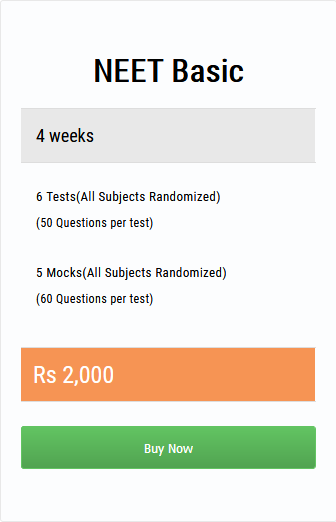 Logging on to the medexams site and you will see our exams of almost all DM superspecialities. Questions in DM Endocrinology cover all aspects of Endocrinology.